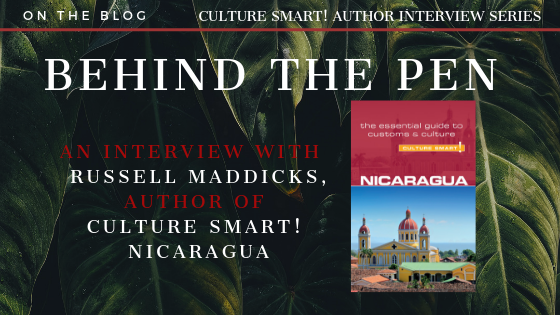 Meet Russell Maddicks, the author of our new guide Culture Smart! Nicaragua, published this month. Russell is a BBC-trained journalist, who has spent the last 20 years exploring the countries of Latin America and publishing his experiences in print, online and in social media. Russell is fluent in Spanish and loves nothing better than mastering the country-specific slang of the Latin American countries he visits. Russell, how did you first come to be involved in Nicaragua and Nicaraguan culture? It all started with a punk band called the Clash, funnily enough. The album Sandinista sparked an interest in learning more about Central America and Nicaragua and the revolutionary hero Sandino, long before I ever travelled to Latin America. So, in the 1990s, when a friend from the USA who had gone to Nicaragua in search of perfect surf invited me over to stay, I jumped at the chance. It was a short visit, just two weeks, but it made a huge impression on me. The colonial city of Granada had this faded grandeur that immediately took you back in time, the lakes were so huge you felt you were out on the sea, and the people I met and stayed with were so friendly and hospitable despite having so little of their own. My favourite memory is hitching a ride with a family and sitting in the back of a cart pulled by two oxen with all these grinning kids teaching me words in Nica Spanish as we slowly made our way along a sandy road that led to this remote surfing beach that was like a little palm-tree paradise. I knew then that I would definitely return and, after a 20-year break, I have, and often. But this time with more Spanish, which really helps. What prompted your return after so many years? My return to Nicaragua came about in the strangest of ways. I was working in Reading, England, covering Latin American news and events for the BBC Monitoring service, when one day I saw this street name: San Francisco Libre. I had just named my newborn son Francisco after the Venezuelan Independence hero Francisco de Miranda, so the street sign piqued my interest and after some investigation I found that Reading was twinned with a small town called San Francisco Libre (SFL) that sits on the banks of Lake Managua with a spectacular view out to the Momotombo volcano. I just knew I had to go and see it for myself so I got in contact with the Reading San Francisco Libre Association, who sponsor school kids in SFL and support social programmes in the community. I told them of my interest in visiting and the next thing I was on a plane with a bag full of educational posters and school supplies. Could you share with our readers an experience you had in Nicaragua which you think conveys something essential about Nicaraguans and Nicaraguan culture? Before my first visit to San Francisco Libre I got in touch on Facebook with several people in the village to tell them I was coming. Out of the blue, the then deputy mayor Maria Elizabet Castillo got in touch, offering to put me up in their house, and gratefully I accepted. Well, what a journey. The paved road to SFL wasn’t finished then so after several hours bumping along on a bus through thick mud in a huge rainstorm I met Elizabet’s husband Mauricio who handed me a plastic poncho and motioned me to get on his motorbike. We then drove in the dark through the rain along dirt roads that had turned into rivers until we arrived at this small, zinc roofed house, Mauricio honked his horn and we drove through the front door into the front room. Having never met me before, the family sat me down like an old friend, fed me fantastic Nicaraguan food like pollo asado (roast chicken) and gallo pinto (beans and rice) and then led me to a big bed, where I just crashed out immediately to the sound of raindrops beating on the zinc roof. It was only the next day when I awoke and found my hosts sleeping out on the back porch in hammocks that I realized they had given me their bed. For me, that experience sums up Nicaragua and the Nicaraguan people. On first arriving to Nicaragua, did you commit any faux pas? What in your opinion do most foreigners get wrong? Language is key to communication. 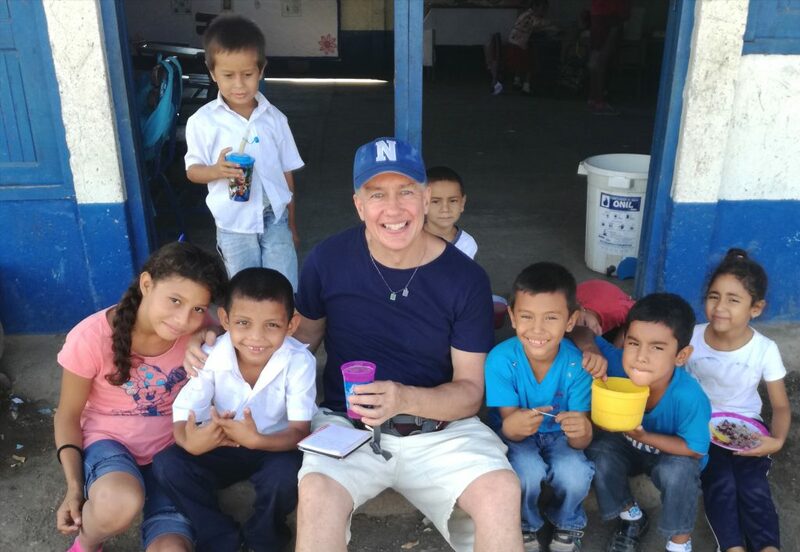 Learning even a few words in Spanish – and using them – will immediately help to break the ice when meeting people in Nicaragua. I’m lucky because I have had this incredible experience of travelling and living in many different Latin American countries and I am fluent in Latin American Spanish. It wasn’t hard for me to pick up Nicaraguan words and expressions. I think people in the UK and the USA have grown used to living their lives in this social bubble where they can go about their business ignoring all those around them until they want something. Do that in Nicaragua and you risk offending people, as it comes over as arrogant, or stand-offish. In Nicaragua when somebody gets on the bus they say “Buenos dias” (Good day) or “Buenas tardes” (Good afternoon) to everybody on board. It’s much more social. When Nicaraguans refer to foreigners as “cheles” (milky whites, from the word leche) or “chelitos” using the dimunitive, they aren’t being rude, they are bringing you into their world of social interaction where everyone has a nickname. Equally, foreign visitors wanting to break the ice and tease a smile should learn Nica expressions like tuani or diacachimba, which both mean cool, or great. Perfect one-word answers for questions like: What do you think of Nicaragua? Do you like gallo pinto? How was the surf today? 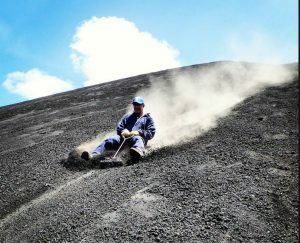 What do you miss most about Nicaragua when you are not there? I miss waking up and staring out over the red tiles of a historic colonial city like Granada or Leon. I miss exploring all the unique places you find in Nicaragua, like floating down the river in the deep ravine of Somoto Canyon, staring down at the boiling lake of lava in Masaya volcano, hiking up to bathe in the towering San Ramon waterfall on Ometepe island, or just splashing around in the endless surf on the Pacific coast. I miss birdwatching in the forests around the Selva Negra coffee hacienda, and then sipping some of their premium java. I miss the complete cultural change when you go from the Spanish-speaking Pacific side of Nicaragua to the Atlantic coast where Creole is the lingua franca and the vibe is Caribbean, especially out on the beautiful Corn Islands. I miss Flor de Caña rum, the smoothest rum to ever come out of an oak barrel. But most of all I miss my Nicaraguan friends. Finally, how would you describe Nicaraguans in five words? Proud. Hospitable. Generous. Friendly. Fun. Russell’s Culture Smart! Nicaragua is available now! To mark the title’s publication enjoy 25% off the RRP from our shop throughout January with the discount code NEWCS25. It is also available as an Ebook here. 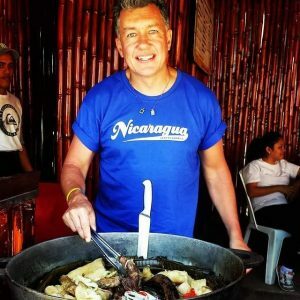 You can follow Russell Maddicks’ adventures in Latin America on his @LatAmtravelist Twitter and Instagram accounts. 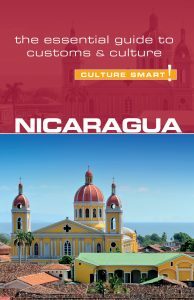 We think this is a cultural primer for Nicaragua that all visitors would find interesting and should be a must-read for embassy staff or NGO personnel posted to the country. It’s a great read, especially the balanced look at the history fo this country. We do laugh at some of the language elements which reveal the oddities of Nica slang. Go easy on which you use!!! Diakachimba!!!! !